This was too fun. Hope to play more with it tomorrow. This is really cool! Love the colors too. I love this. The color is wonderful. Interesting shot. I'd like more background, are these bubbles in a solid glass object? @gardencat Yes. 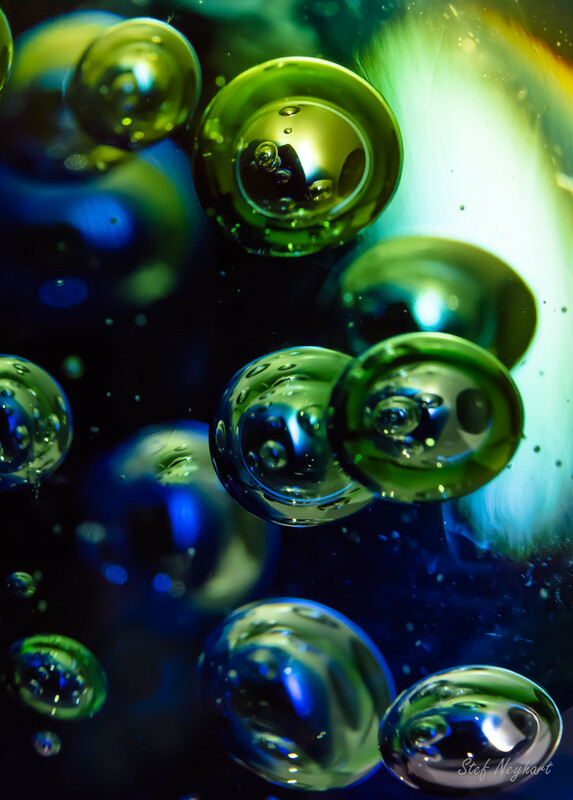 bubbles in a large glass orb. I put it in my light box with 2 external lights and played with angles etc. I have to work inside a lot right now so trying to find things to photograph. Love the deep colours and so well photographed. Look forward to seeing more!